After all the stillness and pond-floating of my two previous posts, let’s have a little excitement! 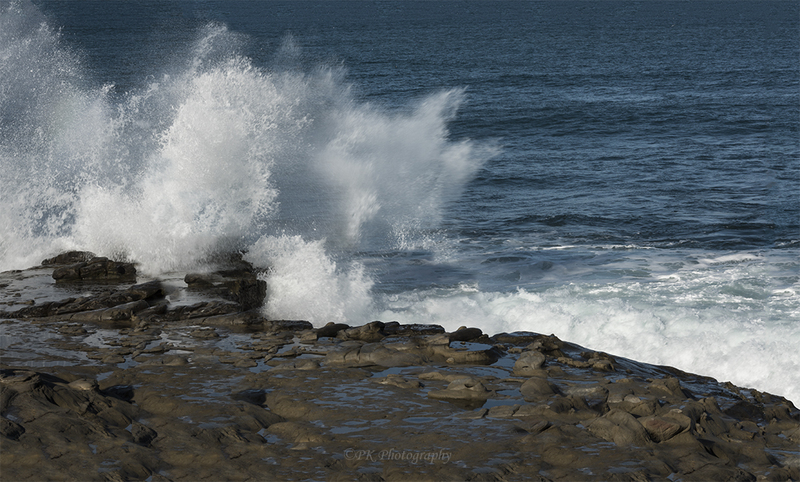 In this image, Pacific Ocean waves crash forcefully over a rock shelf in La Jolla, California. I can almost hear the WHUMMP! as it hits those rocks. Lovely timing Pam!